I just wanted to queue you in to a sale that is happening right now on products that I think are top notch. As the author of the book: What You Should Know about Gum Disease , I am saying with confidence that, in particular, the perio therapy and aktiv-oxigen serum are powerful products that have helped me with my dental health. In addition, for people with bad breath the K-12 products and regular mouthwash should be of interest to anyone with concerns about their breath. I would not underestimate these products that were created by a dentist named Doctor Katz. I believe the sale ends on Thursday (7-30-2009) sometime… just so you know. If you have any questions at all, twitter me @davesnape or visit https://www.twitter.com/davesnape so that you can contact me. PS: You might try to get some additional savings by using coupon code b-fg5. I’m not sure if it will work with this sale or not, but it is worth a try. Before we start counting every bottle and every tube of our critically acclaimed TheraBreath Toothpaste and Mouthwash, we thought we would make things easier on ourselves and have a massive WAREHOUSE LIQUIDATION SALE. We figured that the more we sell, the less we will have to count! For the next 72 hours (Tuesday July 28th – Thursday July 30th) just about every formula we have in stock will be on special. Just buy 2 of any sale item, and get a third of the same item at no charge to you – not even any additional shipping and handling! In addition, any order over $99 will receive FREE SHIPPING within the continental US*. This all adds up to a lot of savings. If you’ve been thinking about stocking up on mouthwash, toothpaste, teeth whitening supplies, or any of our other quality oral care products… now would be a very good time to do so! *Free shipping offer is limited to domestic ground freight only. Free freight by carrier to be determined by us at time of order. * Disclaimer: This post is for information purposes only and does not intend to render or suggest advice, treatment or diagnosis on any health care issues, including but not limited to, dental health. If you have or think you have a health problem of any sort, including but not limited to dental health, consult with your doctor or dentist for advice, diagnosis and treatment! The USFDA has not evaluated statements about products in this post. Therabreath – Are They Worth It? This is a review of the Therabreath product line. I have personally used them and find them to be quite good. The premise of the products is their potent oxygenated compounds. Oxygenated compounds have the power to eliminate the bacteria that cause bad breath, gum disease and other problems. Many of the therabreath products come in various forms such as mouthwash, gum and toothpaste. I’ve used the Perio-Therapy mouthwash and toothpastes as well as the AktivOxigen Serum. Specifically, I like to put the AktivOxigen drops into my hydrofloss (an oral irrigator) before irrigating my teeth and gums. This practice seems to have been very beneficial. This is, of course, a subjective observation, but still real to me. There are multiple ways to utilize the therabreath products. Doctor Katz has researched bad breath and even has demonstrated on stage the power of his oxygenated mouthwashes. For example, he bit into an onion and tested his breath using a halimeter ( a device for dtermining the level of bad breath you have). This of course, prompted a very high reading on the halimeter. Upon using his mouthwash on himself, he showed how the reading on the halimeter was drastically reduced when he retested his own breath. You see, when it comes to bad breath, the bacteria that cause us problems do so because they release ‘volatile sulfur compounds’. These sulfur containing chemicals are the cause of our bad breath. Reduce them or eliminate them and you may be able to kiss bad breath goodbye. When it comes to gum disease or gingivitis, the problem is the anaerobic bacteria that secrete toxins onto and around our gums. When these bacteria are exposed to oxygen, they tend to die or stop reproducing. Either way is a win for you. Check below for valuable coupons that can help you save when looking for Therabreath products. One of my favorite coupons is the one for the Hydro pulse sinus irrigator. The USFDA has not evaluated statements about products in this article. Procure the best Therabreath Coupons around! Begin saving today. 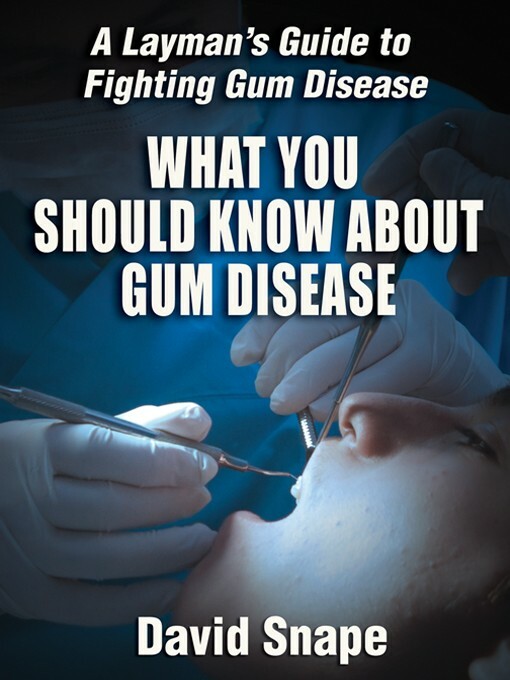 David Snape is the author of: What You Should Know about Gum Disease. ISBN: ISBN: 978-0-9814855-0-8. You can get a Hydro Floss coupon code, a dr. katz ozonator coupon, Bad breath coupons, as well as an allergy sinus irrigator coupon. [Read more…] about Therabreath – Are They Worth It? I have received very good feedback on this book. It is an excellent resource for both those attempting to fight gum disease as well as for those who wish to avoid it in the first place. The Mayo Clinic’s website indicates their belief that up to 95% of the population will have some form of gum disease by age 65. Consider learning what you can do now to stop an existing case from progressing or to prevent this ‘silent epidemic’ from visiting your mouth! This is the biggest Therabreath Special of the year! They say that it is being offered for a limited time, so don’t wait too long. You may wonder what is special about the Therabreath products. If you have read my book: What You Should Know about Gum Disease then you are fully aware of how balancing the pH in your mouth helps to prevent cavities and fight / prevent gum disease! If you didn’t know that, you should read the book. This is the kind of information that most dentists don’t reveal to their patients. Anyway, what is special about the Therabreath mouthwashes is that they are a neutral pH – unlike the majority of mouthwashes out there. This means they can help move your oral pH towards neutral. This helps to protect your teeth and your gums. Imagine using it right before bed – wouldn’t that be a very sensible time to balance your mouth’s pH? And how about when you get up in the morning? After sugary / acidic meals? After that mid-day snack? After drinking an acidic beverage (like many sodas and energy drinks)? Right now you can massively stock up on Therabreath mouthwashes and products with the best deal you are likely to see for another year. Check out the Special Offer here. And I’m going to make the deal even better for you. What was I talking about when I mentioned the pH of the mouth a few moments ago? Right now, you can take advantage of the Therabreath special and score my e-book – that is a digital version of my book that you read from your computer screen. You could literally be reading it after taking advantage of the Therabreath special. No need to wait for shipping because it is digital and you can download it to your computer and read it immediately. 3. As soon as I receive your receipt, I will send you a link to download this important 248 page e-book. You can then start to read it immediately. That is simple and easy. Once you use the Therabreath mouthwashes, you’ll be glad that you stocked up. If you go to a retail store and tried to get this much, you’d spend WAY more money. And with the special they are offering FREE GROUND SHIPPING. Considering the weight of this mouthwashes alone, you are saving a lot right there. All you do is order and sit back, it all comes to you. No shipping charges! Well, I’m excited that people will get an opportunity to take advantage of this and that is why I don’t mind giving my e-book away to help with additional saving and to give you information you didn’t have before – information that many dentists do not or will not mention to their patients! Take advantage now before this special ends. You can still get the Therabreath mouthwashes after the special ends, it will just cost a lot more. Check it out.